Well another tick for me. 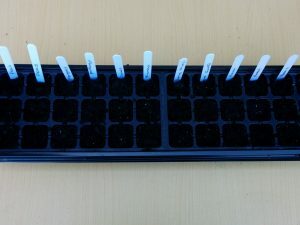 Well two actually; numbers 11 and 12 – grow your own plant with materials provided by your daughter and then pick out and plant a vegetable of your choice. 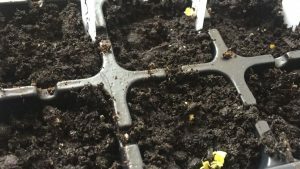 I kept putting of this challenge because gardening has never been my thing and I certainly didn’t know what to do with the seeds. I got them out of my box quite a few times and looked at them. 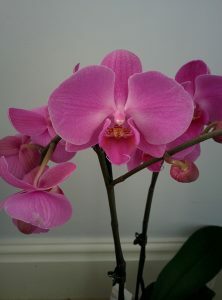 I’m not that good with keeping plants either but this 50th year, I did get some practice. 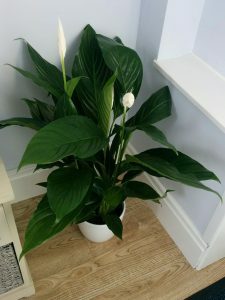 Chris bought me this lovely peace lily and orchid They are still living! Jordan also bought us herb seeds and a pot for a stocking filler at Christmas and we have had fresh coriander and parsley. Watching it grow has been fun (we are like kids seeing them sprout up) and actually using them in recipes was rewarding. I still put this challenge off. Chris had started a contract with a garden centre so that proved helpful. We went along to one of their branches and bought the items we thought we would need. They remained in their bag for several weeks. Last week, I thought I would do something about it. Sunday saw me clutching a present from Chris: a diblet and cell tray trowels (I really didn’t have a clue! 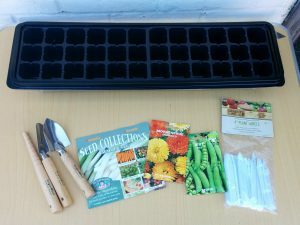 ), I started to plant seeds in our seed trays. As well as peas and marigolds given to me by Kathryn, I planted carrots, spring onions, rocket leaves and peppers. 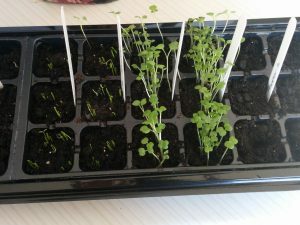 Tuesday, Chris sent me a photo of the rocket growing. Must have done something right. 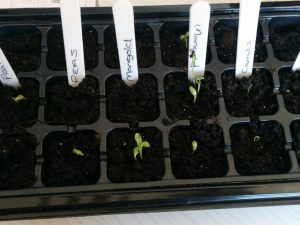 A week later, everything apart from the peppers have “sprouted” so might need to thing about repotting and then deciding where to plant for the final growing. Maybe gardening will be my new hobby.